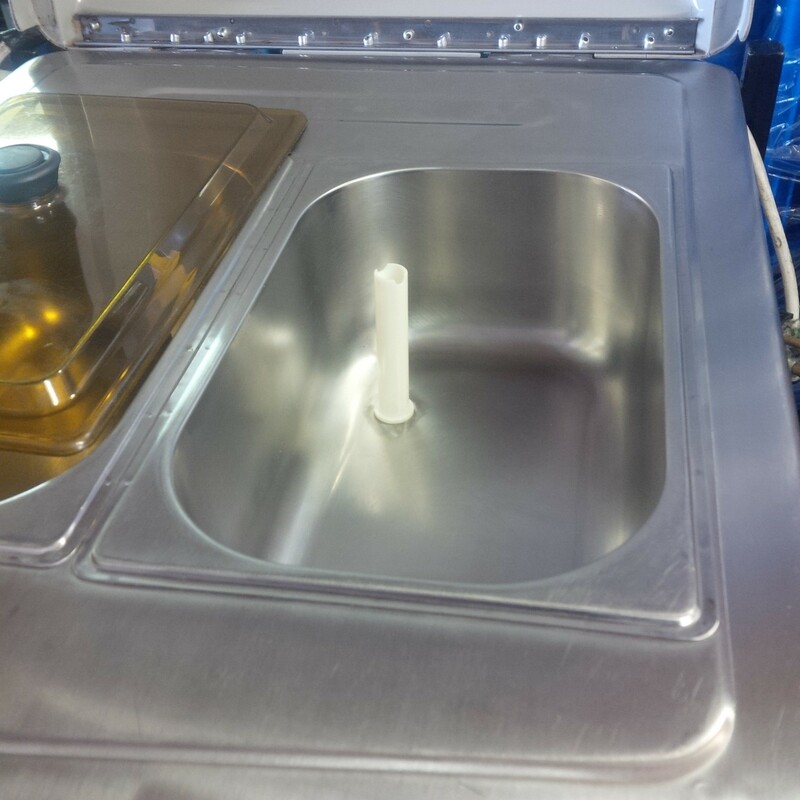 It is to provide the systematic procedure on how to operate and wash the ice cream machine. 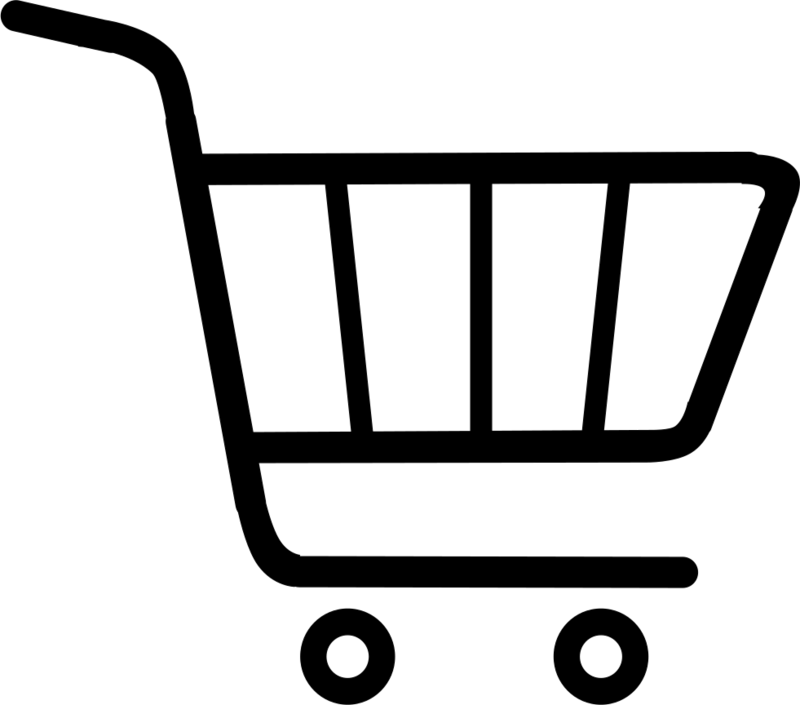 Prior to use, inspect machine and electrical cords for visible damage. Indicator Light – Shows hardness level as well as production process. 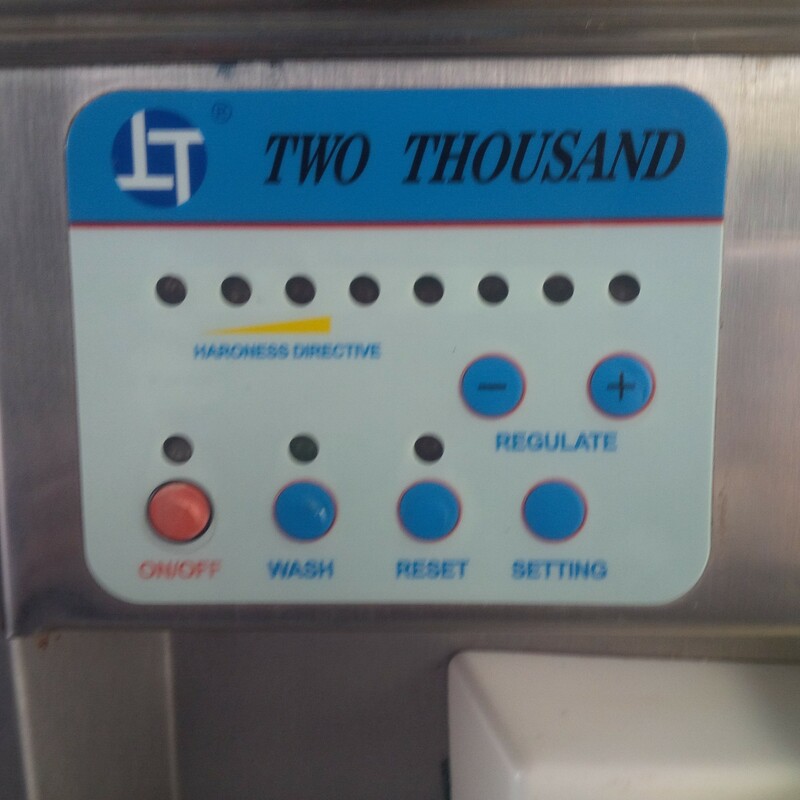 On/Off Switch – Stop command for washing/production. Setting – For hardness level. Reset – Validate the restart before the automatic move. Use the handles on the sides to lift the machine and make sure is always upright. Before the electricity connection of the machine, make sure the machine is grounded properly. The distance from the machine to the wall must be at least 200mm to the closest wall to prevent over-heating. It is better to leave no less than 500mm from the ventilation side. It shows that the machine is plugged. Before ice cream production, a trial running is necessary to ensure everything is in good condition. Long press the On/Off button for few seconds until the indicator lights green. Machine switch on showing that it is ready for use. Within one-minute press stop, button (ON/OFF) to stop the machine. The trial running time is not allowed to be more than 3 minutes. Pour the ready ice cream mix into the two hoppers. Turn the air outlet open to make the feeding into action until the chilling cylinder is filled. Let the ice cream mix free to flow deeply for 2 minutes and then press the ON/OFF button. The whole machine will go into production mode and ice cream can be finished in 3 to 8 minutes, which varies from models. 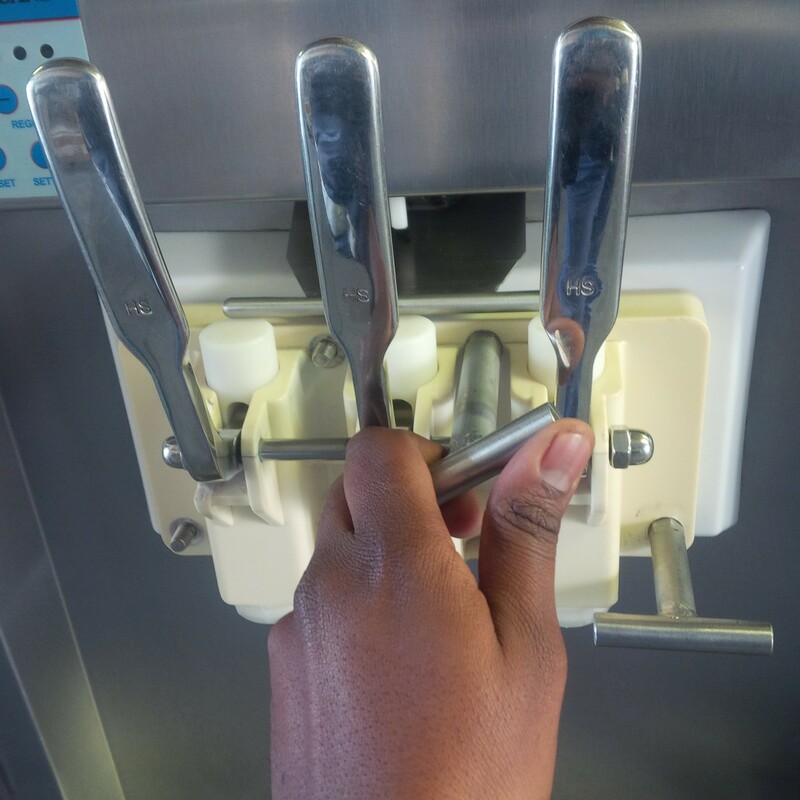 The middle outlet is applicable to both of the chilling cylinder and thus it dispenses a mixed flavor of ice cream. 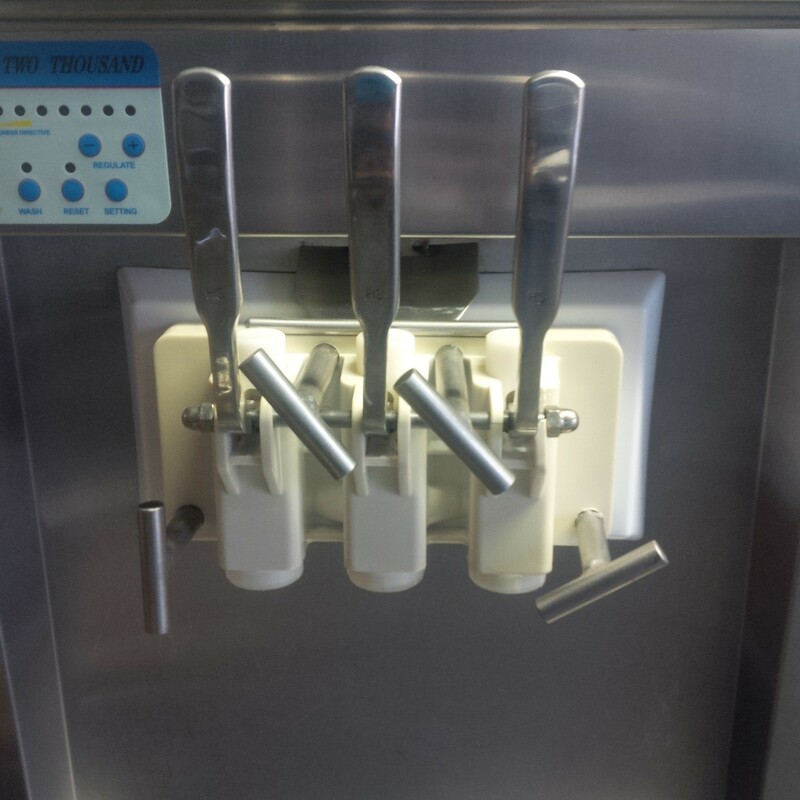 Remember to clean the soft ice cream machine and its parts after using it. Water temperature used during cleaning should never exceed 40⁰ C since it may cause damage to the plastic parts and seal the machine. Water must be look warm/must not burn you when you feel by hand. Fill a 5L container with water. Pour one bag of sanitizing solution into the water. Mix the solution for 2 minutes or until all the sanitizer is dissolved. 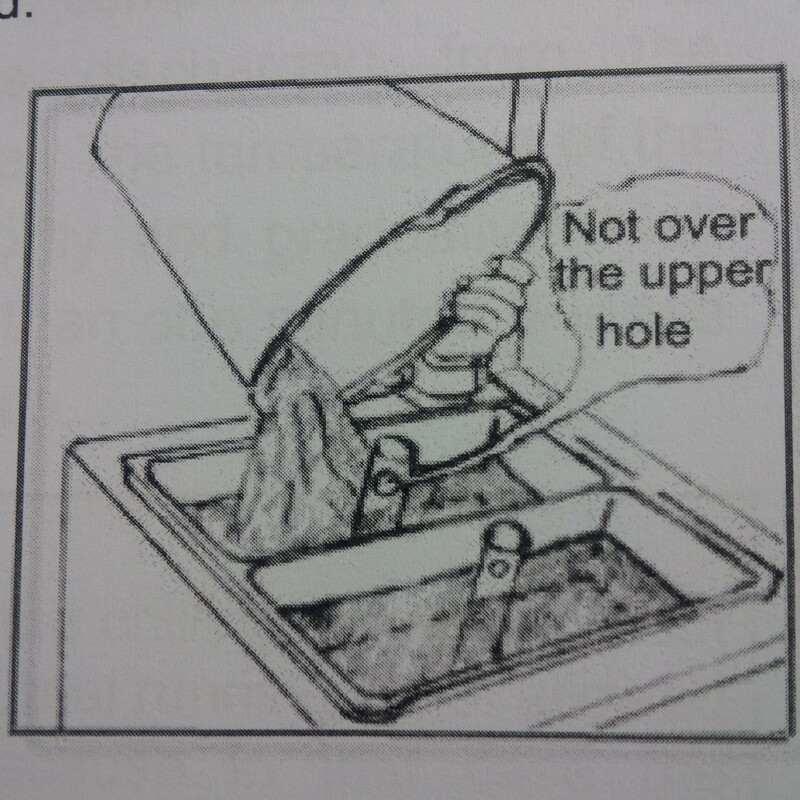 Pour the solution into the machine hopper. Sanitize and clean the hoppers and the cooling cylinders. Take out the beater shafts from the cylinder by pulling & slight rotating. Put the assembly into detergent or water and clean it one by one to get rid of any dirt. The assembly will be free of dirt. Assembly the beater shafts and the throat block properly. After few minutes, press the wash button to turn off the beater and then take out the throat block slowly to pour out miry water. Clean the machine shell with a cloth drenched in a sanitizer. Let the machine dry, then cover the machine and put to storage. Leakage from gearbox (Mount the screw in proper position and tighten up. Always follow the instructions given by the supplier. If the power cable should of any reason be damaged, a skilled technician with sufficient knowledge and skill should immediately replace it. Keep close attention to the material (ice cream) capacity in the hopper. Make sure the hopper will never be empty otherwise, consecutive production would cause noise and even damage to then beater. 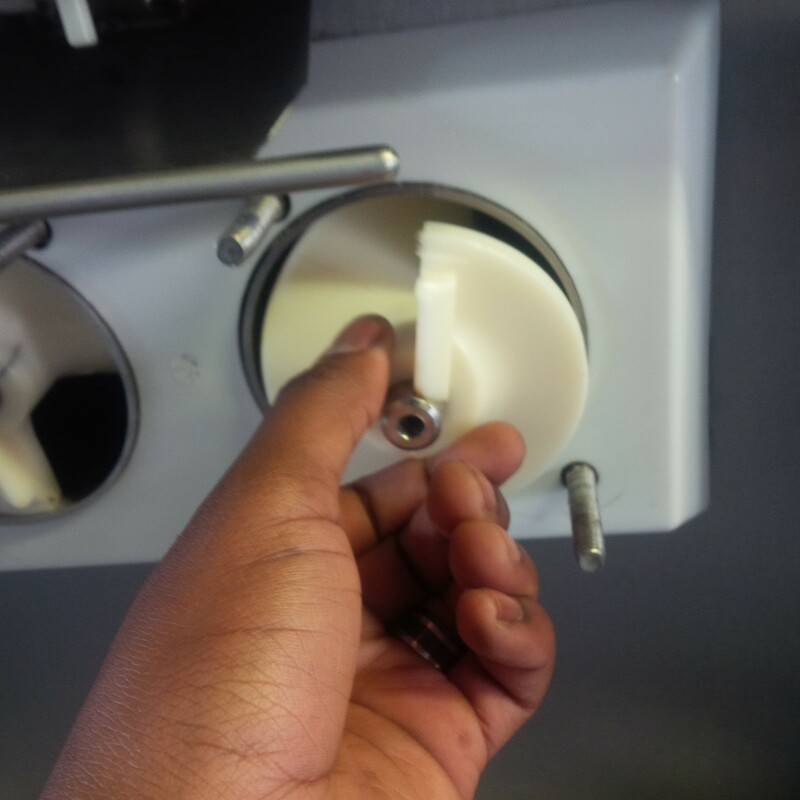 Avoid any damage to the power cable when transporting the soft ice cream machine. Bending the cable may cause a fire. Never place heavy objects on the power cable. 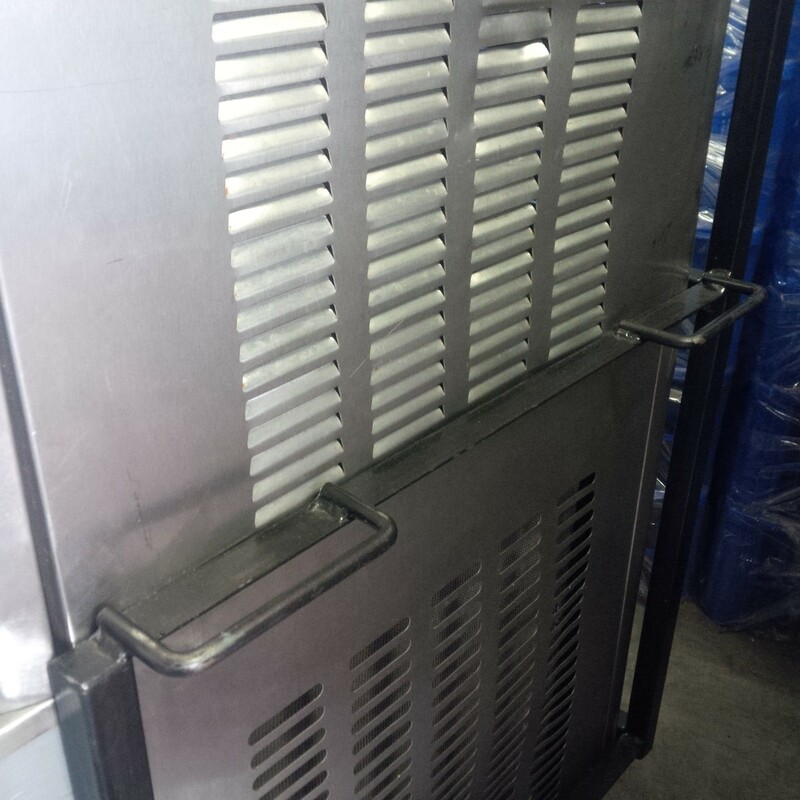 This will keep the soft ice cream machine in a good condition. When using the ready-to-use ice cream mixes which goes with stipulated proportion mixing water, do not try to add more water or sugar, since this may lower the quality the product or disturb the operating condition of the machine. Always remember to sanitize the machine after it has been used, and always keep a strict hygiene.